If you had to pick one film which sums up everything wrong with 1960s comedies, your first choice would have to be The Millionairess. This obscenely unfunny celebration of wealth, helmed by the once-great Anthony Asquith, took a potentially interesting idea and reduced it down to two hours of famous people enjoying each other's company at our expense. But an equally good candidate would be The World of Henry Orient, a bland, boring and totally unfunny romp which gravely underuses its big-name star and never entirely decides on what it wants to be. To be fair, The World of Henry Orient is not as big a disappointment when taken purely as an adaptation. While this film was based on a little-read novel by Nora Johnson, The Millionairess took a George Bernard Shaw play which satirised the idle rich and completely missed every single irony. This becomes all the more painful with the knowledge that Asquith had helmed the original version of Shaw's Pygmalion years earlier, which despite its cop-out ending knocks My Fair Lady into a cocked hat. This film is directed by George Roy Hill, who would be Oscar-nominated for Butch Cassidy and the Sundance Kid and would later win several Oscars for The Sting. Hill's career demonstrates that he could handle multiple protagonists and man-manage big-name stars, while always keeping the audience at the forefront of his mind. We can only surmise that he learnt a lot in the years between this and Butch Cassidy, because this is an utter shambles. 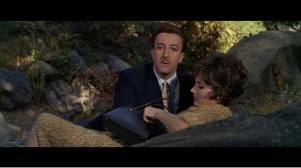 For starters, Hill commits one of the biggest crimes in comedy: casting Peter Sellers in a sizable part and then giving him nothing to do. When we first meet Henry Orient, schmoozing over a future Stepford Wife, we expect something along the lines of Clouseau in A Shot in the Dark: slightly sleazy in his pursuit of female affection, but still very charming overall. But as the film becomes more about the two girls and their families, his screen time and role gradually shrink until he is barely in the film at all. What could be a decent comedy driven by a powerhouse of comic timing ends up as a boring non-comedy which just happens to have Sellers in it for a few minutes. The confusion surrounding Orient's function in the film might explain why Sellers' performance is not exactly one of his finest. His physicality wanders between uptight and louche, while his accent drifts between Clouseau, Spanish and his gangster in The Ladykillers. One often got the sense with Sellers that he was a million characters inhabiting the shell of one man, and that he could choose which one to channel like a medium flicking a switch. Hill clearly gave Sellers next to no direction; it's as though he was plonked in the middle of the action and told to make it up as he went along. 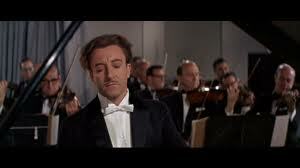 Not only is Sellers confused as to whom he's playing, but the whole film can't decide on who or what it is. Is it a coming-of-age film about two young girls? Is it a bedroom farce where the girls are mistaken for spies of a jealous husband? Is it a drama in which a daughter runs away and the family come together against the odds? 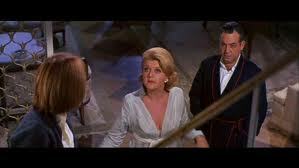 Or is it a commentary on the hypocrisy of adults, epitomised by the flip-flopping of Angela Lansbury? There are at least four different potential stories within this bunch of characters, but the film never takes the time either to focus on one or come up with good enough reasons of dismissing the others. For the first part of the film, before Henry Orient is introduced, the first hypothesis seems to be correct. The scenes of Val and Gil becoming friends and interacting seem charming enough in a sub-Disney way. We go through a series of scenes of them becoming acquainted, discovering common pastimes and eventually going over to each other's houses. None of these scenes are particularly engaging, but at least we know where we are. But as soon as Henry Orient homes into view, the film takes a turn for the unintentionally creepy. The first time the girls come across Henry, spying on him when he is kissing his lover in the park, it is a happy coincidence and played for a half-decent laugh. But then they become obsessed with him, sitting outside his hotel window, hiding outside restaurants where he eats and plotting his every move. The film depicts their stalking as a natural phase of infatuation, and the more they ask us to laugh at it the creepier it becomes. At this juncture you might point out that the film has to be a little obsessive, since it is about overcoming teenage infatuations as a part of growing up. You might argue that the girls' pursuit of Henry Orient is as harmless as any other fantasy world that young children create and act out. You might even argue, as The New York Times did, that the film is a reassuring antidote to the images of screaming girls associated with Beatlemania, which was reaching its zenith during the film's release. While all of these points might seem coherent in abstract, they fall down on one small detail: there is nothing in the film to support any of them. There is no effort made in the script or the direction to justify or legitimate what the girls are doing. The more time we spend in their company, the more annoying they become, and the more we are convinced that Gil is actually a little mad. The later section of the film, where Gil goes missing, is played with so little logic that we very quickly give up on things. The secret to comedy, as everyone knows, is timing, and The World of Henry Orient is as sluggish and slow-brained as they come. For a film that may be intended as a farce, the pacing is terrible: all the misunderstandings are mishandled, the slapstick elements aren't funny, and the sound quality is so poor that characters are often completely unintelligible. Even a score by John Landis' frequent collaborator Elmer Bernstein can't pick up the pace when it's desperately needed. In order for a farcical or whimsical comedy to work, there has to be a strong directorial stamp on the project. Blake Edwards was always game for improvisation, particularly on the later Pink Panthers, but the cast and crew knew that he was always in charge and that his first priority was keeping things in control. Hill can't seem to marshal either the energy of his performers or the colliding storylines, and so he resorts to cheap camera tricks in a desperate bid for easy laughs. We get everything from sped-up footage to upside-down crane shots, and even an uncomfortable up-skirt shot during the incredibly annoying 'splitsing' sequence. As if that wasn't enough, the film is also racially insensitive. Part of the girls' fantasy involves dressing up in 'oriental' costumes, running around in massive bamboo hats and speaking in mock Japanese. Later in the film there is a positively toe-curling sequence where the girls 'kow-tow' to an altar of Henry Orient, muttering faux-Japanese sayings and offering themselves to 'the gods'. It's not as obviously insensitive as Sellers' portrayal of Fu Manchu in his final film, but it still feels really out of place. The World of Henry Orient is a hackneyed and misjudged relic of 1960s cinema, which ranks alongside The Fiendish Plot of Dr. Fu Manchu as one of the worst films of Sellers' career. Poor performances, thin characterisation, lacklustre direction and almost no laughs all make for a truly boring film, which is at turns misjudged, un-engaging and offensive. If nothing else, it gives The Millionairess a run for its money as one of the worst mainstream films of the 1960s. 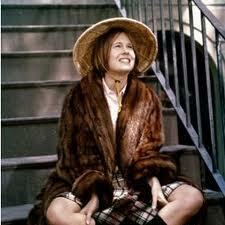 I suppose you're aware of the huge number of people who, after all these decades, still absolutely adore this film. And btw, the character you keep referring to as Gil was actually Val. 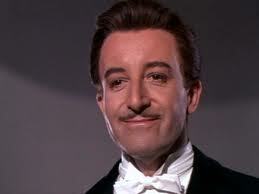 Too bad you didn't get your Disney flick with Peter Sellers being brilliant. Try "That Darn Cat". Sellers wasn't in it, but it ought to satisfy your apparent taste. i truly love this film.